Ancient architecture, cultural museums, sunny beaches and scenic landscapes make this one of the most appealing destinations on the Turkish Riviera. Sitting on a rocky plateau overlooking the Mediterranean Sea, the city of Antalya offers a blend of ancient history and modern Turkish beach life. Roman-Ottoman buildings line quiet cobblestone streets. Nearby, enjoy picturesque beaches stretching along the coastline or visit ancient ruins hidden in the surrounding countryside. At the heart of Antalya is the well-preserved historic quarter of Kaleiçi. Wander along the lanes leading from the main square to discover ruins from Byzantine, Roman and Ottoman eras. Check out Hadrian’s Gate, a grand archway built in A.D. 130 to commemorate the visit of Emperor Hadrian. Look for the Clock Tower, once part of the ancient citadel, and visit the 17th-century Tekeli Mehmet Pasa Mosque. Don’t miss the tall Yivli Minaret, a major city landmark that dates back to the 13th century. Meander south past the harbor to Karaalioglu Park, a vast flower- and tree-filled area surrounding the centuries-old former lookout Hidrilik Tower. 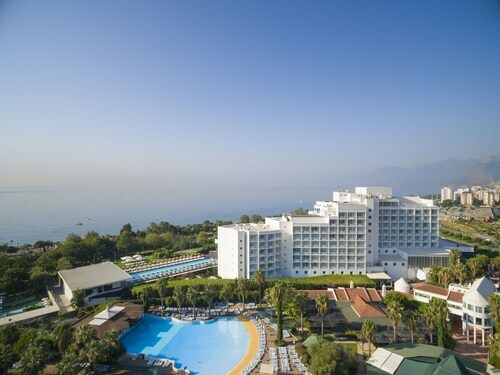 Find refuge from the city heat beneath a shade tree and enjoy excellent views over the Gulf of Antalya. Learn about Antalya’s Ottoman traditions at the Kaleiçi Museum. 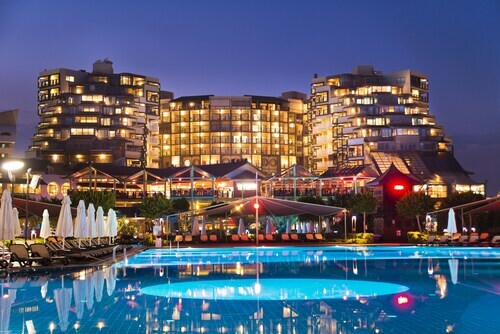 Konyaalti Beach Park, west of the historic quarter, is Antalya’s main city beach. Find a pebbly stretch of coastline backed by a leafy promenade and cultural and entertainment centers. See millennia-old artifacts at the Antalya Museum. 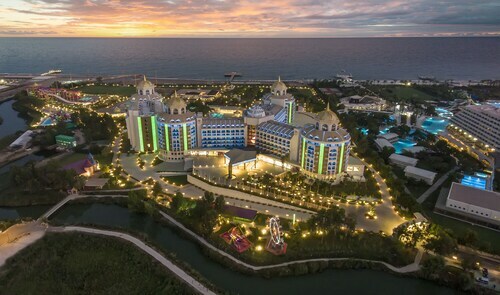 Spot miniature versions of Turkey’s major landmarks at MiniCity Antalya. Ride waterslides or watch dolphin shows at Troy Aqua and Dolphinarium. Explore the ancient ruins and natural beauty of Antalya’s countryside. Marvel at the city, tombs and amphitheater of Termessos, perched on a mountainside in Güllük Dagi National Park, and visit Roman theaters and temples. Join hiking, whitewater rafting and jeep safaris in Köprülü Canyon. Enjoy the serenity at the attractive Duden Falls. 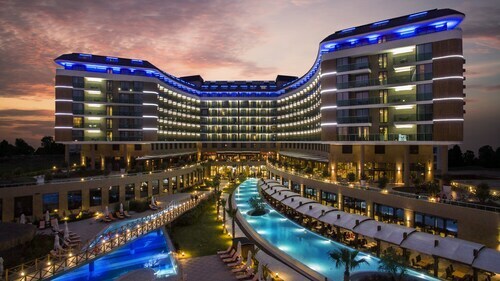 Arrive by flying to Antalya Airport, which is a 30-minute drive from Kaleiçi. Get around using buses, trams and taxis. Rent a car to visit the countryside attractions and innumerable sandy beaches that spread along the Mediterranean coastline. Listen to enthralling tales of an ancient city atop a mountain, as you peruse temples, tombs and a theater from another millennium. Among the largest museums in Turkey, this site holds thousands of historical treats that delight the senses with the stories of ancient cultures. Relax beside a water fountain in the midst of exotic trees, ancient Roman monuments and panoramic views of the Mediterranean Sea. A Roman tower, which dates back almost 2,000 years, is a curiously designed treasure that stands between the historic center, the sea and a park. Antalya wears this soaring redbrick tower from the 1200s as a proud emblem of its rich history, religious diversity and architectural ingenuity. Learn about this fascinating site used as a Roman temple, a Byzantine church and a mosque during its millennia of existence. Explore the impressive marble ruins of this ancient Roman temple in the romantic oceanfront setting of Turkey’s white-sand beaches. Dine and shop in this charming haven outside of Antalya, home to hotel resorts and rows of impressive yachts. Amenities are good . Didn’t like : A/C controls won’t work .Only heating works in rooms . Thu., 20 Jun. - Sat., 7 Sep. Tue., 30 Jul. - Wed., 4 Sep. 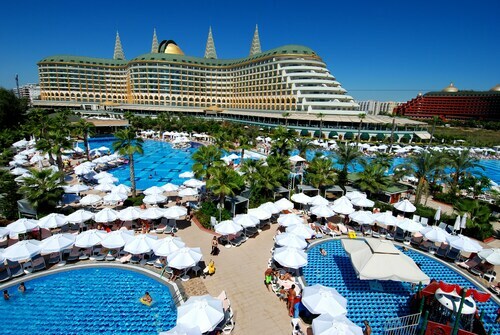 Looking for Flights, Hotels, Car Hire and Holiday Rentals in Antalya?